I’m going to try and post something every single day this year, even if it’s only a few words. I’m feeling all aglow, in the post new years optimism. I’m gonna be all I can be, the few the proud, ain’t no mountain high enough, the stars have aligned, besides there are no Kardashian weddings in the near future – all signs point to this being the best year in a long time. As always, I begin the year with a human sacrifice, an offer to my druid overlords. This year it was Consuela, a Filipino nanny I had secreted into the country through my human trafficking network. Man, did she put up a fight. But nothing worthwhile ever comes easy…. These are but a few of my resolutions, a smattering – Oh yeah, at some point during the year I may also finally take the initiative and head over to North Korea to clear all that nonsense up once and for all, we’ll see how busy I get, I would hate for it to interfere with my Macrame art installation, the one where I plan on creating tea cozies for all the mailboxes in the city – saving the world isn’t always beneficial, or tolerant of one’s hobbies. So in closing, hobbies, nannies, mailboxes and North Korean Macrame. 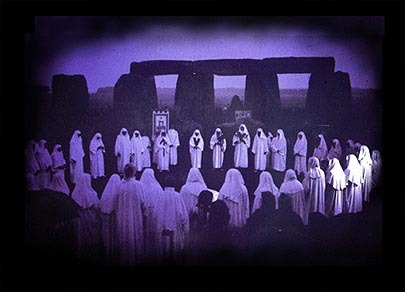 May the Druids bless you in 2012. PS – Just Kidding, my Uterus is fine….